I don’t know about you, but my skin is a constant battle. I don’t think I’ve ever been without at least one blemish on my face since around the age of 14? I thought it would settle down once I got out of my teens, but nope, my skin still ranges from ‘not too bad’ to ‘hormonal teenager’ on a weekly basis. So, to try and keep it looks more like the former rather than the latter, I’ll go through the products I use to give it a helping hand. Exfoliate | Next to double cleansing, I think incorporating some sort of exfoliation into your routine is great if you have oily skin. It helps get rid of congestion and dead skin cells which could block pores and create more blemishes, so I try to do this twice a week. I tend to opt for a liquid chemical exfoliator, such as Alpha H Liquid Gold or REN AHA Resurfacing Concentrate to gently buff skin overnight. 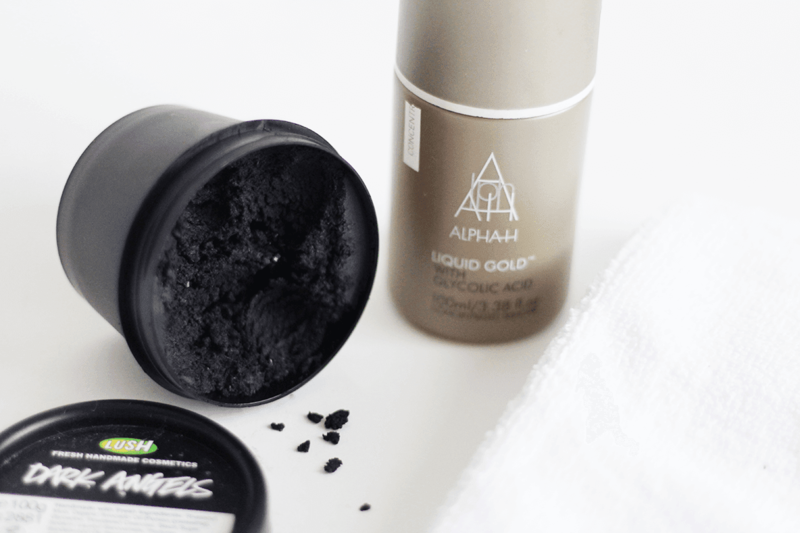 Orrr if I want to just give my skin a good scrub, I use LUSH Dark Angels Cleanser which is one of my favourites! 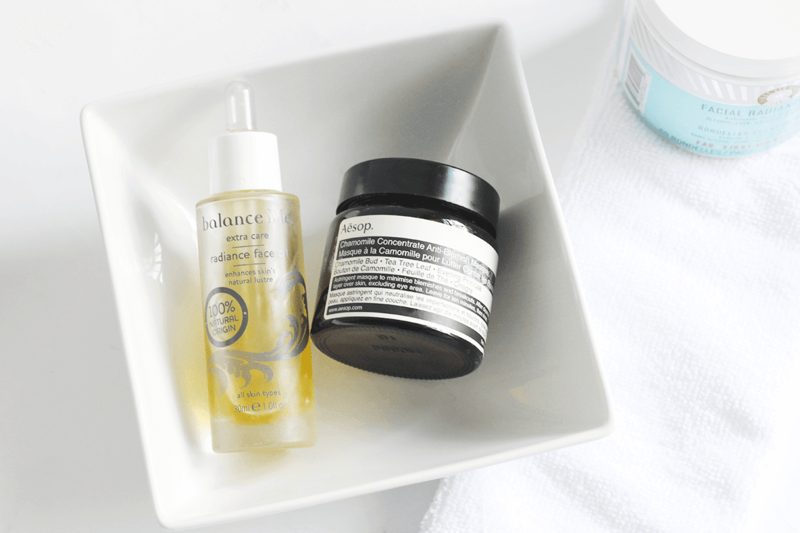 Acid | Following on from the exfoliator above, acids can definitely be your friend when you’ve got spot prone skin. I go for those pre-soaked pads as they’re super easy to use and the two above are in my permanent collection. 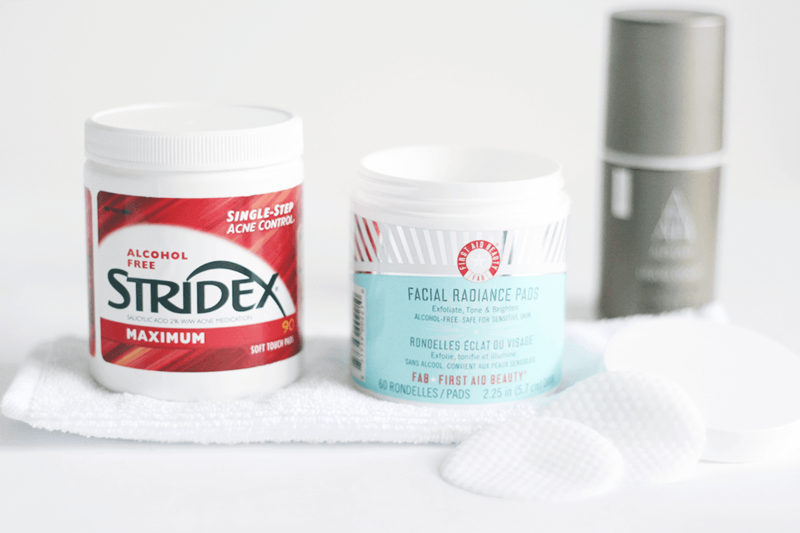 The Stridex Maximum Strength Pads contain salicylic acid which helps to neutralise bacteria within pores and prevents them from clogging up again by restricting the pores surface, which does give it that tight feeling. I also like the First Aid Beauty Facial Radiance Pads, as they have glycolic and lactic acid which encourages skin cell turnover and lightly exfoliates. Remember doing that makes your skin more sensitive to the sun, so make sure you wear sunscreen if you’re using exfoliators. Masks | When your skin is feeling congested or not feeling great, throw a face mask on! Clay based masks, or those that dry down, get into pores and help remove all of that crap that might have built up! I use them a few times a week, especially in summer, to help keep my skin look better! I adore the Aesop Chamomile Concentrate Anti-Blemish Masque for keeping everything a bit more clear. Diet | This is the part I struggle with the most, as I adore sugary and salty food (gimme dat cake and crisps!) but you really are what you eat when it comes to your skin. 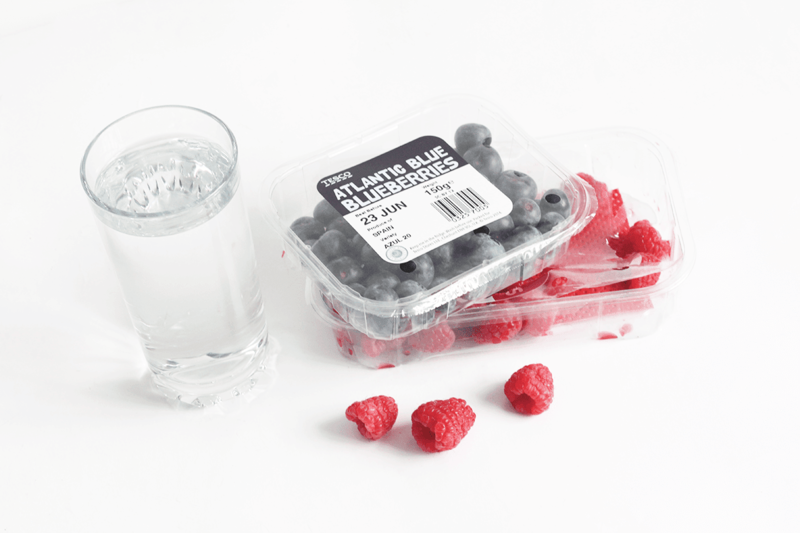 I try to drink 2ltrs of water a day and limit the amount of sugary foods (refined sugar like chocolate etc, not fruit) I eat, as I know it has a really detrimental effect. It’s an ongoing challenge but I’m trying! 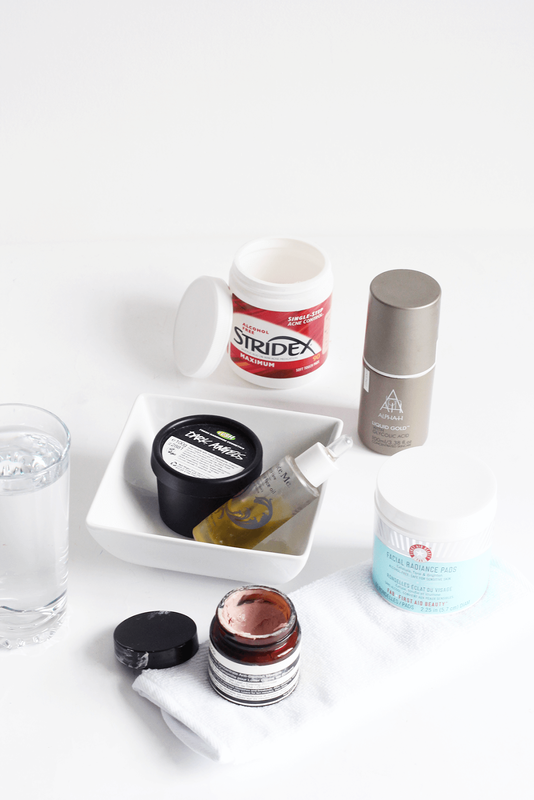 What do you use to keep your skin in check?